Mr. Gette is a co-founder and President of eSTS. He has over 32 years of government service in the SPAWAR Organization. Prior to eSTS, he was Head of Transformational C2 at SPAWAR Systems Center Charleston. He served as a key member of the N6/N7 Analytical Center of Excellence, which integrates all FORCEnet analytical results of the NCDP Process. Mr. Gette previously served as the Head of Transformational S&T (formerly Battle-Management C4ISRT). He was the Navy Single POC for USMC Common Aviation Command & Control System Program and held Programmatic and Technical responsibility for a broad range of Joint C4ISR initiatives and Advanced Concept Technology Demonstration projects. Prior to this, Mr. Gette compiled 15 years of experience in Aviation C2. He served as Head of Radar, Software and Interface Systems Engineering in the Surveillance and Sensor Systems Department – playing numerous key roles in the National Airspace System Modernization Program. Mr. Gette received a Bachelor of Science in Electrical Engineering from Citadel, The Military College of South Carolina and a Master of Engineering in Computer Engineering from the University of South Carolina. 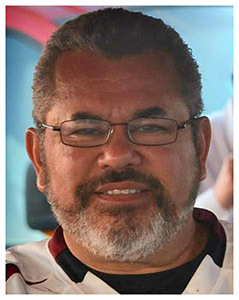 Mr. McAvoy is a co-founder and Chief Operating Officer of eSTS. He has over 34 years of experience with government contracting in the National Capital Region. Prior to eSTS, Mr. McAvoy was a Vice President with L-3 Communications – Titan Group. Mr. McAvoy held various leadership positions in operations management and business development. He was responsible for major wins with the U.S. Army, U.S. Air Force, U.S. European Command and FAA. Prior to joining L-3 Titan Group, Mr. McAvoy spent 15 years as an operations manager and acquisition management specialist for NASA, NOAA and FAA. While at NASA, Mr. McAvoy was a member of several weather satellite launch teams as a spacecraft controller. At NOAA, he was responsible for managing an A&AS services team that provided management analysis on radar, satellite, ship replacement and weather processing programs. In support of the FAA, Mr. McAvoy managed engineers and acquisition specialists supporting the National Airspace System Modernization program. Mr. McAvoy received a Bachelor of Science in Technology & Management and a Master of Science in Management from the University of Maryland. As the Director of Cyber and Information Technology (IT) Solutions at our Augusta, GA office, Ms. Tuschen performs all aspects of Business Development to support bringing in work in the Cyber, Information Assurance (IA) and IT areas, as well as training and training support efforts. She also provides Cyber and IA Subject Matter Expertise (SME) support to company personnel internal as well as our customers. She is the Program Manager for all efforts at the Army Cyber Center of Excellence at Fort Gordon, GA and also at the National Center for Credibility Assessments at Fort Jackson, SC. Prior to eSTS, Ms. Tuschen has worked for both large and small companies supporting government contractors, after leaving the Army in 1998, where she served for 8 years as a Signal Corps Officer specializing in automation, systems security, and Information Systems. Since that time she has managed multi-million dollar contracts and over 50 individuals across multiple locations. Prior to being a full time Program Manager and now Director, she was an IA Instructor at Fort Gordon and Adjunct Professor at Augusta University. Ms. Tuschen has served in many volunteer capacities, since 1996, on the board for the Augusta-Fort Gordon chapter of AFCEA, including President for two terms, Membership chair, Young AFCEAn, and currently is the Small Business Chair. She is also currently the VP for Marketing for the Augusta-Aiken PMI Chapter. She has been a long-standing member with the local Augusta chapters of the AUSA, ISSA, and SCRA and has been a contributor to many of their sponsored activities. 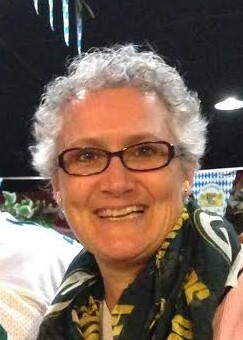 Ms. Tuschen earned a BS degree from Saint Norbert College in Green Bay, WI, and a MS degree from Boston University while stationed in Germany - both degrees are in Computer Information Systems. She also holds the Certified Information Systems Security Professional (CISSP) certification, and obtained her Project Management Professional (PMP) certification in November 2013. Bill Clatterbuck is the eSTS Rapid Product Development and Sustainment (RaPDS) Program Manager. The RaPDS program supports the Space and Naval Warfare Systems Command (SPAWAR) providing full life cycle development and sustainment of IT systems for the Navy MPT&E enterprise. He has over 34 years of experience in supporting the Navy including 26 years as an active duty Naval Aviator, retiring as a Captain in October, 2010. Prior to joining eSTS, Mr. Clatterbuck worked as a Program Manager for Tesla Laboratories, Inc. supporting internal control, financial Policy and audit readiness for Financial Systems for ASN(FM&C) FMP, Commander, Naval Personnel Command (CNPC) and BUPERS Comptroller (N10). Most recently he led a PMO team supporting the assessment and readiness of Defense Business Systems across the Navy Financial Enterprise to prepare for Financial Statement audits. His team supported Navy IT System Owners across the Navy to assess system’s relevance to audit and implementation of enterprise IT control standards and the Risk Management Framework. Mr. Clatterbuck MPT&E experience extends to his time on active duty where he served at Commander Navy Personnel Command (CNPC) as the Director of Officer Career Progression (PERS80). He served additional major staff assignments as Assistant Naval Inspector General for Aviation and Director of the RCNSC at National Defense University. Designated a Naval Aviator in 1986 he amassed over 4500 flight hours during assignments including the Naval Strike and Air Warfare Center (NSAWC) and the Navy’s premier Combat Search and Rescue (CSAR) and Naval Special Warfare Support Squadrons, HCS-4 and HCS-5. Mr. Clatterbuck is a graduate of Virginia Tech with a BS in Aerospace and Ocean Engineering and the Naval War College, and is a certified Project Management Professional (PMP).